Amount of refurbishment required - mechanical, electrical, ceilings, lighting, flooring, decorating and installation of communal areas, reception, meeting rooms and partitioning. Location of IT equipment - comms and data room, printers, photocopiers and faxes. Consider what office furniture can be re-used and recycled and what office furniture you need to purchase. Most office fit out companies will have good relationships with furniture manufacturers and should be able to provide a wide choice of off the shelf furniture as well as being able to source something bespoke. Once work starts, ensure you have regular project meetings with your office fit out partner. Agree any changes and alterations as you go along, minute every meeting and regularly review the budget. Be sure to get a few quotes from reputable and reliable companies. Arrange for the delivery of all the required packing and crates and label everything clearly. Communicate with prospects, clients, suppliers and any other parties such as the bank, HMRC, Companies House and utilities providers, about the date of the move and the new address. 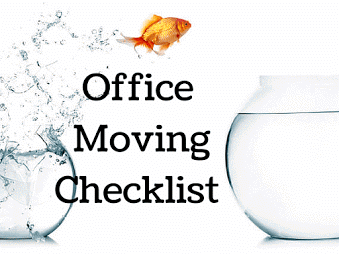 This is an opportunity to create some positive PR by telling them about your reasons for the office relocation. Organise re-directions: royal mail, phone, fax and modem and terminate old contracts. Now the hard work is over and you are ready for move-in day. All that's left is for you to enjoy your new office premises and familiarise yourself with the local area. Trevor Blake have 25 years experience of providing office fit out services to companies relocating to new office premises. We cover Surrey, Sussex, London and the South East. If you'd like to arrange a free, no obligation consultation, give us a call on 01293 775 509.